There was an expectation from both player and team that Gabriel Landeskog could make a significant impact in his rookie NHL season in 2011-12. With less than half the campaign to go, the skilled Swede has definitely delivered on all fronts. Showcasing undeniable offensive flash, superb skating skill and a first-class attitude, Landeskog, a native of Stockholm, Sweden, who came to North America to hone his game as a 16-year-old, had every NHL team's attention in the months leading up to the 2011 NHL Entry Draft. In the end, it was the Colorado Avalanche who drafted him, taking the forward second overall at the annual event. For Landeskog, who debuted in the Swedish Elitserien in 2009, at the age 16 years and 90 days, becoming the youngest player in Djurgården's history, and one of the youngest to ever have played in Elitserien, going to the Avalanche was the ideal scenario and a dream come true. He's already showing signs it could be a reality. 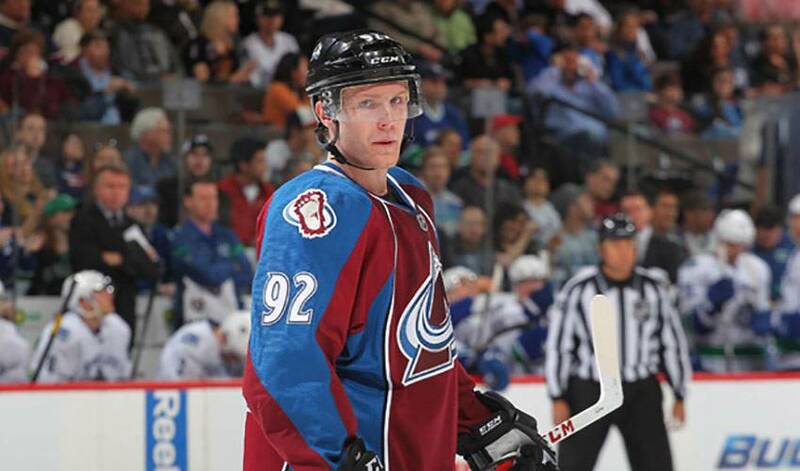 So far, in 2011-12, Landeskog has 10 goals and 26 points in 51 games, along with a solid plus-12 rating. He scored his first NHL goal on October 11 against the Columbus Blue Jackets. The milestone marker made him the youngest Swedish-born player to score an NHL goal, at 18 years, 324 days. Landeskog is also only the second rookie in the last 18 years to score his first NHL goal as an equalizer in the final minute of the third period. Tom Gilbert of the Edmonton Oilers is the other, who accomplished the feat in 2007. His commitment to raising the bar has already paid its dividends. Still, Landeskog is a driven man, looking to play his part in helping the Avalanche keep pace in the contentious Western Conference, as the Northwest Division residents look to avoid missing the post-season for two consecutive campaigns. He remains grateful to the Kitchener Rangers' organization and the impact they had on his development. Now, he's right at home in Denver, the same city his childhood idol starred in for several standout seasons. Landeskog, who notched his first two-goal NHL game in a 5–4 shootout victory against the Chicago Blackhawks on October 22, intends to make every moment count, something that is already obvious jus over 50 games into his big-league tenure. He's hoping the best is yet to come for the Avalanche and himself.